Living in a house full of boys there is nothing I love more than taking myself off for a little ”me” time and ”me” time for me is what I call ”faffing”. Faffing with make-up, faffing with hair, I just love faffing!!! 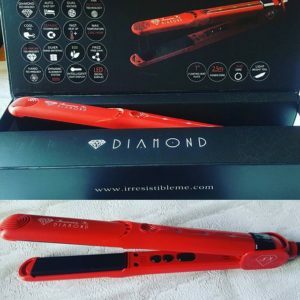 My popular Facebook group tried and tested came about after a night of ”faffing” creating hair styles with a new hair tool i’d purchased, so you can imagine my delight when I was sent this new generation of flat iron from irresistible me. I have very thick naturally curly hair so it takes a good flat iron to tame it. The good thing about these is the variable temperature control so you can have the cooler setting for thinner or damaged hair, however I ramped them up to 230 oC because my hair needs heat!!!. 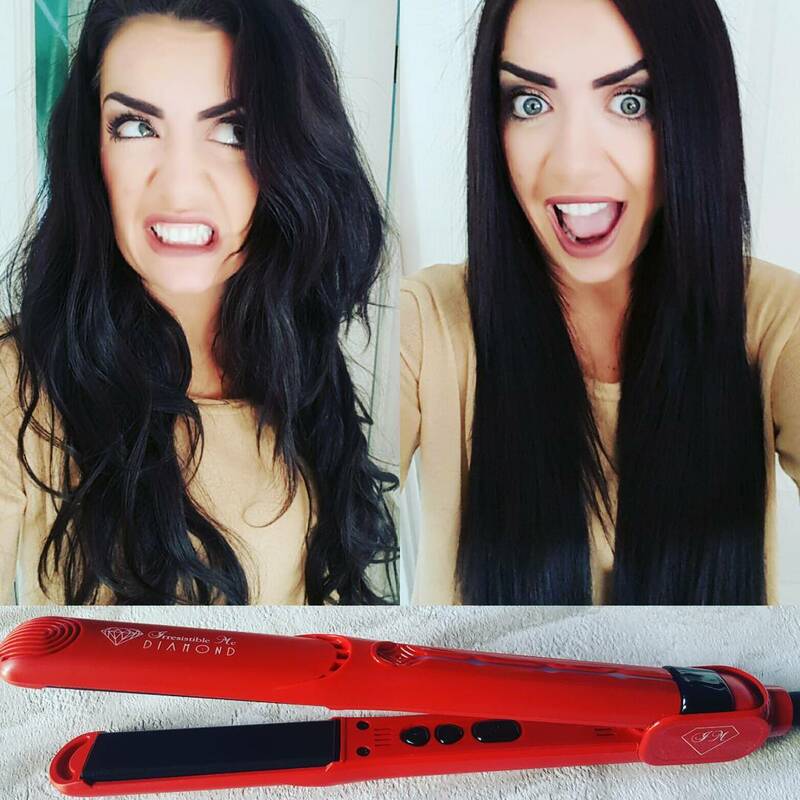 They have a great clamp on the hair but also glide effortlessly with no snagging. 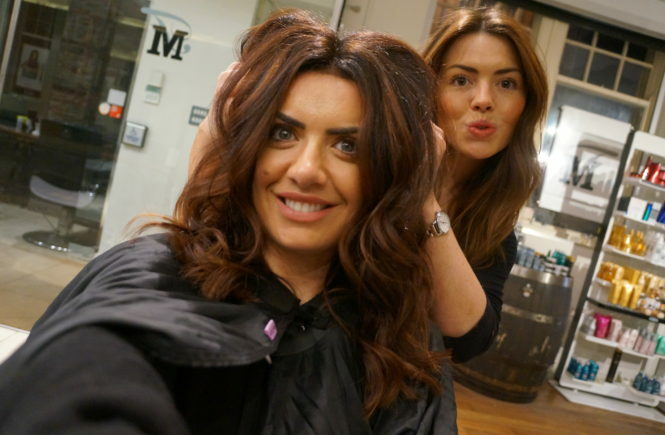 They ironed out my hair in no time and i’m sure you will agree that the result is impressive. 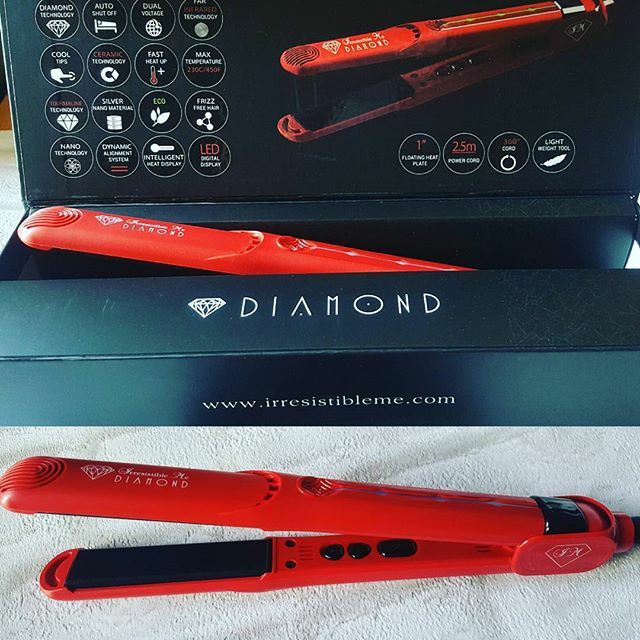 Stay tuned in to my blog for more styles with this fantastic flat iron and if you want to purchase them yourself then visit here, they cost $149 which is around £122 but if you sign up on the website you get an extra 20% off!